Shak (the South Hampstead and Kilburn Community Partnership) is a resident-led charity based on the iconic Alexandra and Ainsworth estate in Camden. Shak engages residents in a range of innovative and highly creative projects, enabling young people and adults living on and around Alexandra and Ainsworth estate to discover their talents, passion, skills and confidence to overcome the barriers they face to social and economic inclusion. After securing funding, Shak set out to strengthen the governance structure and add more experience to their trustee board, to help them deliver more for their beneficiaries. Eastside Primetimers consultant Stephen Hickey carried out a review of Shak’s processes and of the skills of their current board, with a view to bringing in more outside expertise to supplement the experience of their resident trustees and provide more strategic direction for the organisation. A second EP consultant, Jo Simpson, then carried out a wide search for candidates for board roles. This resulted in the recruitment of four new trustees, including a new chair. Additionally, another person who applied for the trustee role has since become a project volunteer with Shak. 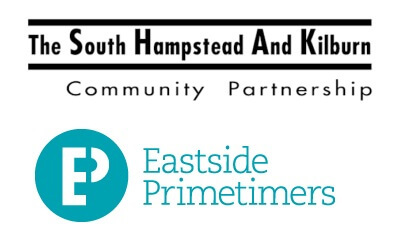 John Boyle, director at Shak, said: “Working with Eastside Primetimers was very productive for us. They were professional, efficient and the process has resulted in four new board members and a plan to transform our governance, bringing extra capacity to develop the organisation and sustain benefit for our beneficiaries into the future”. If you would like to speak to us about our governance and recruitment services or discuss your options, contact Bernice Rook on 020 7250 8337 or at bernice@ep-uk.org.